This compiled list provides all the latest and best Webmaster, Web Hosting, Domain and WordPress Related Deals available. If there is a deal that we failed to share, feel free to share it in our comments section. Every year Namecheap which offers Web Hosting, Domain Regirstration, VPN, SSL and other Website Services offers amazing offers via a dynamic landing page. This Dynamic page offers a deal such as 98% of .com domains for 1000 users for a particular hour then when the hour is up, the page then refreshes to show another offer. All in all awesome offers for the 24 hours that is Black Friday and an Additional Cyber Monday. SiteGround is one of the few hosting providers that offer fast servers even on its shared hosting plans. This host is famous for its customer support and focuses on securitywith daily backups, anti-hack systems, regular updates, and security patches. Spam prevention and malware monitoring are also included. During Black Friday — 24 hours only — save 75% on shared hosting plans with SiteGround. Dynadot offers VPS Hosting, Domain Registration, Website builder, SSL and Email Hosting services. .SHOP – The domain .SHOP is on sale for $1.00 through 11/23/18 00:00 – 11/26/18 23:59 UTC! .SHOP is an excellent domain if you sell products or services, online or offline. A .SHOP domain can be a powerful marketing tool that can separate you from the rest. Don’t miss out! .ART – The artist brings creativity and color into our lives. In today’s age, the internet brings people closer together than ever before. Let your creativity stand out with an .ART domain. Whether you’re a painter, photographer, artist, designer, etc. .ART is the perfect domain for your online presence. .ART premium names are 50% off (priced as marked) and regular .ART domains are on sale for $5.99 from 11/23/18 0:00 – 12/31/18 00:00 UTC. Click on the link to register your .ART today! .BIZ stands for business! The best way to show your audience that you mean business is with a .BIZ domain. When you buy .BIZ, your business can stay open 24/7. Having a business website can open doors and increase visibility and a .BIZ domain will make your website easy to find and remember. 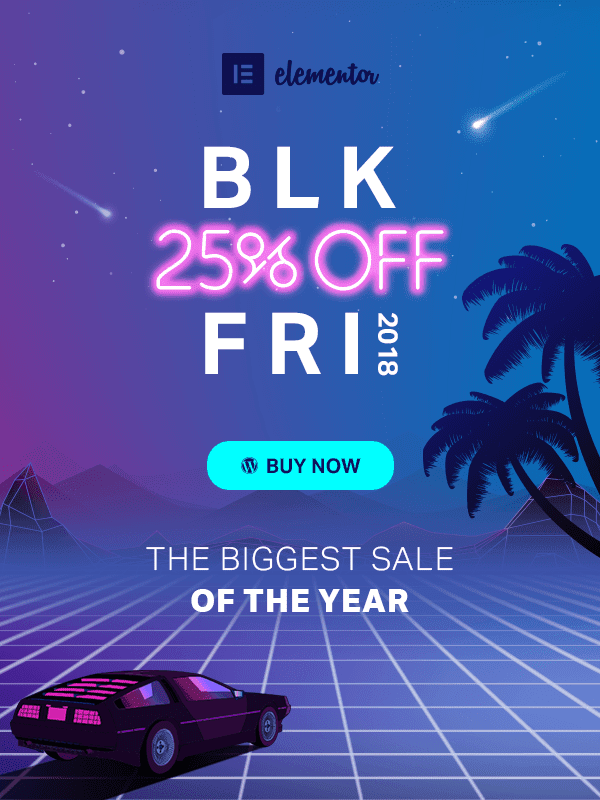 .BIZ is on sale for $2.49 from 11/23/18 00:00 -11/26/2018 23:59 UTC! .CO – Start your next big idea with .CO! You’re much more likely to find the domain name you want for your website. Right now .CO is on sale for $2.99 from 11/23/18 00:00 – 11/26/18 23:59 UTC! The .CO domain is a great option to create your custom short link. The internet can be overwhelming, let your audience find you fast with a .CO domain. .CLOUD is the domain for everyone in the cloud space and beyond, no matter where they are in the world. If your business offers cloud services, then there’s no better place to be than on a .CLOUD domain. Take advantage of our sale happening now for only $1.99 through 11/23/18 00:00 -11/26/18 23:59 UTCand get on the cloud! Dynadot Sitebuilder – The best sitebuilder deal in the world just got better. From 11/23/18 00:00 – 11/26/18 12:59 UTC, take 50%off of our Pro and Business Sitebuilder plans with code SITE50. dYNADOT SSL – The deals keep rolling. From 11/23/18 00:00 – 11/26/18 23:59 UTC you can get get 25% off Regular SSL Certficates. Use code SSL25. WP Engine is a popular managed WordPress hosts. They rarely offer discounts, but that changes on Black Friday where you can get 35% off your first payment. For best results, we recommend that you pay for an annual plan. Not only does this lock in your discount for an entire year, but the discount stacks on top of the existing 2 months free that you get for choosing annual billing. So in total, you’re actually getting ~5.5 months free in comparison to the price you would pay for a month-to-month plan. Gen.xyz is the Domain Registration that manages the .xyz domain name extension. For this year’s Black Friday and Cyber Monday Deals/Offers, GoDaddy, Namecheap and Hostinger will be offering deals as low as 50 cents. ISHK is a Hong Kong based Shared Hosting, Email Hosting, VPS Hosting, Domain Registration and SEO provider. ISHK is offering up to 30% extra credits to all funds received from November 23th to 30th. How to Add Credit to your account? 1) Extra funds will be credited to your account 1 business day after received. 2) All funds will be valid to pay any current unpaid or future invoice(s) in your account. 3) The funds do not have an expiration date. Use whenever you want. Whoishostingthis.com offers a really cool list of Black Friday deals from web hosting providers from across the web. Dokan – A WordPress plugin which adds to Woocommerce by turning your website into a multi-vendor marketplace. WP Project Manager PRO – A WordPress integrated Project Management Tool. WP User Frontend PRO – Let your users manage everything from Frontend! Effortlessly build Registration Forms, Profiles, WooCommerce Products, Subscriptions & Contact Forms with Custom Post Types support. WeForms – A WordPress Form creation plugin. WP ERP – WP ERP optimizes your small to medium businesses with powerful HRM, CRM & Accounting. Use the coupon code BLACKFRIDAY18 at checkout to receive 20% off all our plugins Valid until November 27, 2018. Our Black Friday deal is live now! We are excited to offer a huge 40% discount on all Smart Slider 3 Pro plans! Apply coupon code BLACKFRIDAY18 at checkout for your discount. Hurry Up! Limited time offer expires 26th of November. aThemes create WordPress themes such as the best-selling Sydney Pro business theme and the newly released Airi Pro theme. Use the coupon code BLACKFRIDAY18 at checkout to receive 30% off all our themes on Black Friday. Elegant themes is the creators of the Divi WordPress website builder, themes and Plugins. This year’s Black Friday sale starts on Friday, November 23rd at exactly 12:00 AM UTC-6, and you definitely don’t want to miss it! There will be thousands of free prizes, free bonus gifts and our biggest discount ever. Everything is available as part of the all-access Elegant Themes membership, which is X% off on Black Friday. You can either pay $X for one year of access or $X for lifetime access. Elegant Themes only offers this discount one time per year, so you won’t find a better price until next Black Friday. Better yet, they’re also giving away thousands of free prizes to purchasers, including free access to Ultimate Divi Builder Addons, Divi Soup, and lots of other Divi-focused tools. WP Rocket is a WordPress caching plugin which makes your WordPress site load faster. Beaver Builder like Elementor is one of the best page builders that you’ll find. Unlike Elementor, Beaver Builder only discounts their products one time per year. So if you’ve been on the fence, you’ll never find a better price. This Black Friday and Cyber Monday, you can get 25% off all of Beaver Builder’s products, including the Beaver Themer extension that lets you build your entire theme using the same visual drag-and-drop editor. LearnDash is a popular WordPress LMS plugin that’s used by both regular webmasters and large institutions. Normally, LearnDash starts at $159, which is a bit pricey. Yoast offers its very popular Free WordPress SEO plugin. They also offer a Premium version of its free Yoast SEO plugin, SEO Courses/Training, and additional WordPress Plugins. 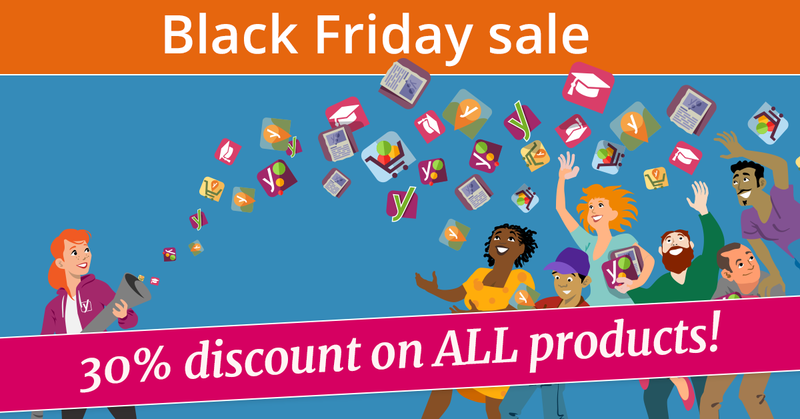 30% off all plugins and courses, discounts for YoastCon tickets and annual subscriptions – Black Friday sale at Yoast! Yet another popular LMS plugin. It comes in a core free version with lots of optional premium extensions. Unsurprisingly, most people go for the Universal Bundle, which gets you access to almost all the paid extensions for the regular price of $299. But during Black Friday, you can get 15-20% off everything. The sale is a bit weird, though, with the best discounts happening before Black Friday (on Black Friday, it drops from 20% off to 15%off). So if you’ve been eyeing LifterLMS, don’t wait around for Black Friday! Flycart are the developers of the popular WooCommerce Discount Rules plugin. They are offering up to 30% off their WooCommerce Discount Rules, WooCommerce Sales Countdown Timer, WooCommerce Pre-Paid Subscription and WooCommerce Email Customizer subscriptions on Black Friday & Cyber Monday. Envato is the parent company behind popular marketplaces ThemeForest and CodeCanyon. This Black Friday and Cyber Monday, they’re offering a large number of themes and plugins for 50% off. 50% off select themes and plugins at Themeforest and Codecanyon. Monster Insights offers a WordPress Plugin which is used by over 2 million websites offers a Statistics/Analytics Dashboard with features like ecommerce tracking, universal tracking, forms tracking, ads Tracking, google optimize and Google AMP just to name a few. Use coupon code BF2018 to get 60% off on Black Friday. Found an awesome WordPress, Web Hosting or Domain related deal? Share it below in our comments section and will update this list.